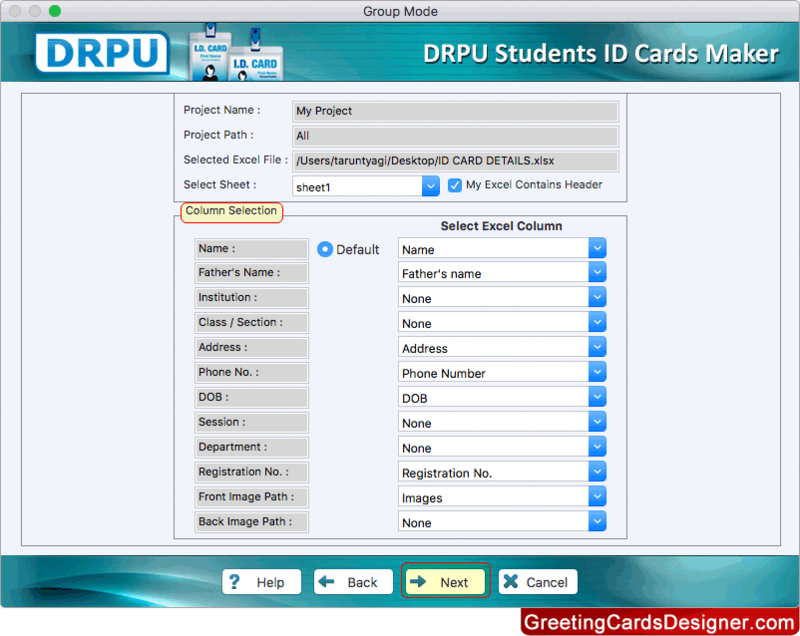 Select any one mode either using 'Pre-defined templates' or 'Live Group and Batch Processing mode'. Choose any pre-defined template and proceed to next button. 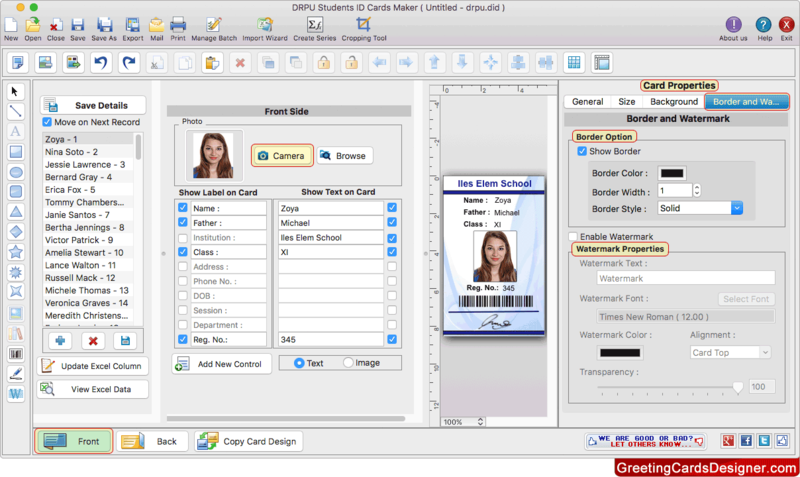 To add user's details on your ID Card , go to save details and click on particular entry which you want to add on your ID Card. 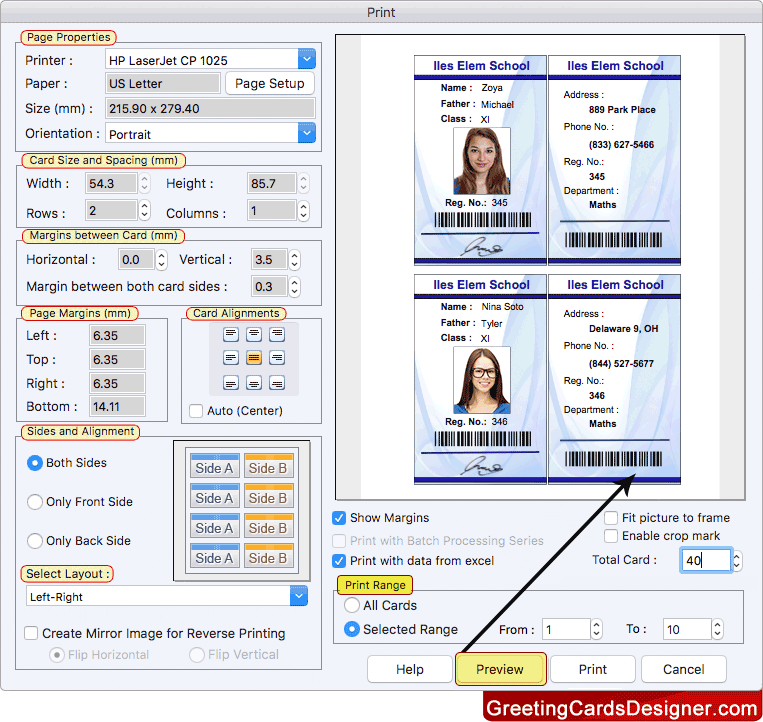 To print designed ID card, Fill all the printing details and click on print button. 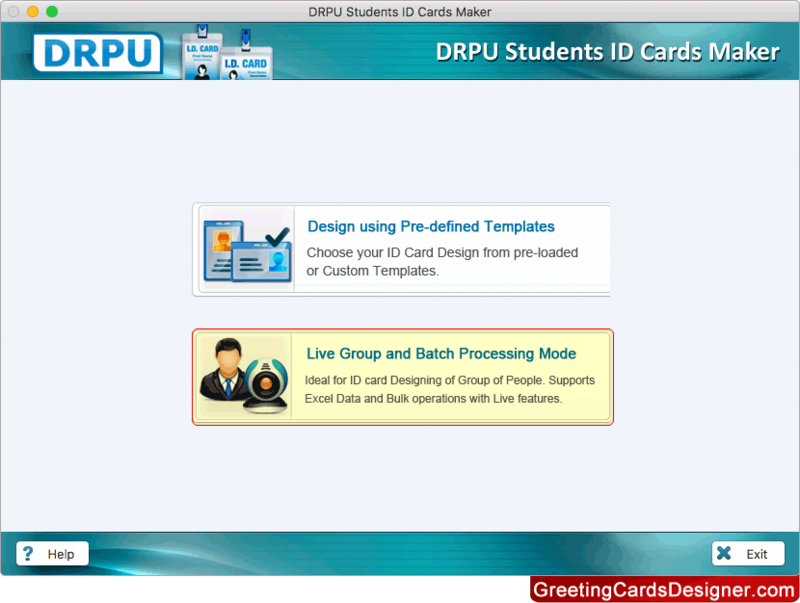 You can see preview of designed ID card before printing.